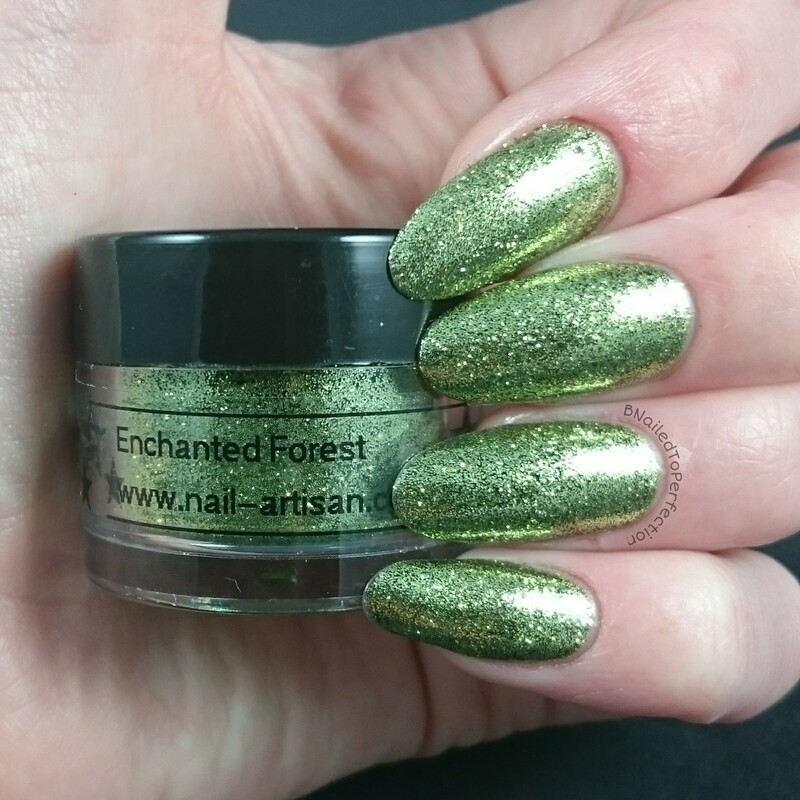 So here's part two of my Nail_Artisan Glitter dust review. If you haven't seen part one then I suggest you check it out here as there are some stunning colours in that post. 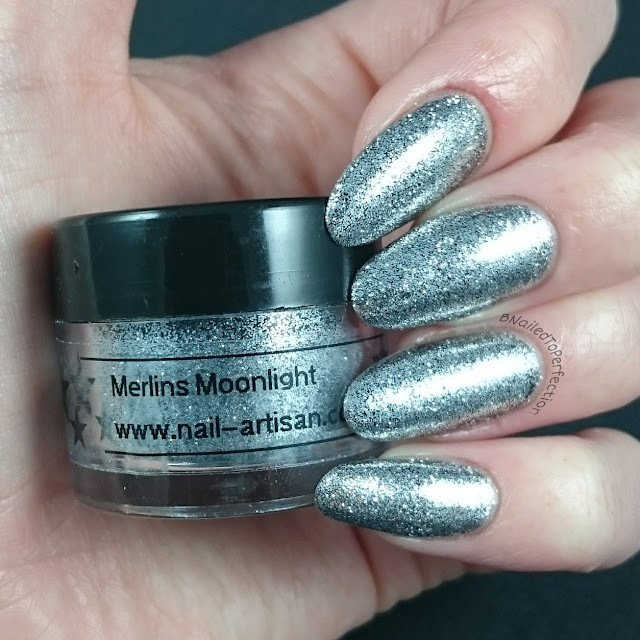 As I've mentioned before Nail_Artisan is a UK based supplier of amazing quality nail art goodies such as stamping plates, stamping polishes, nail art tools glitters dust etc. 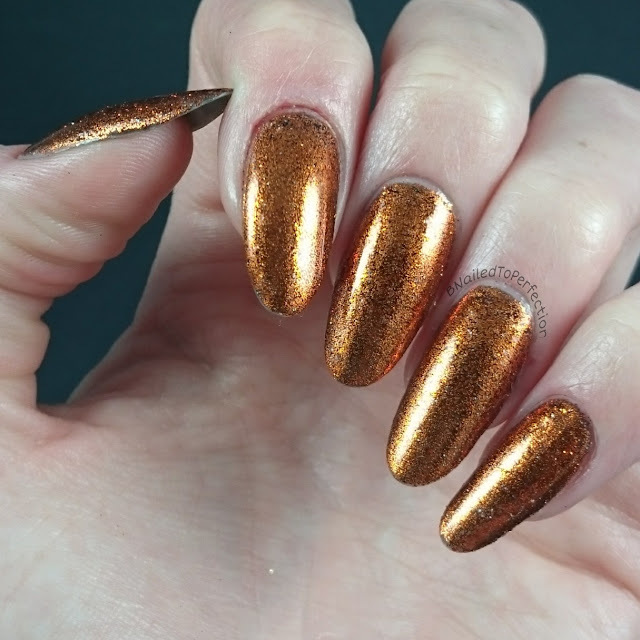 Let's see the last eight glitter dusts! 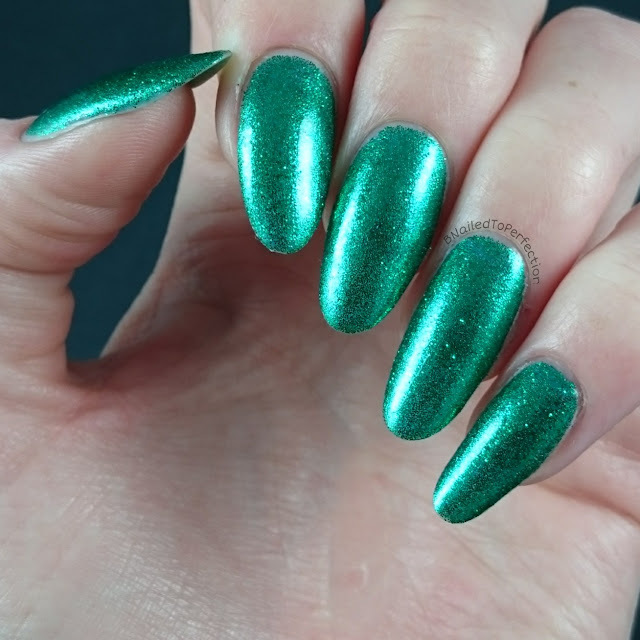 First up we have Mischievous Leprechaun which is a beautiful emerald green colour. This glitter dust seems to have a metallic finish to it. I have used Ink Calypso as the base colour. 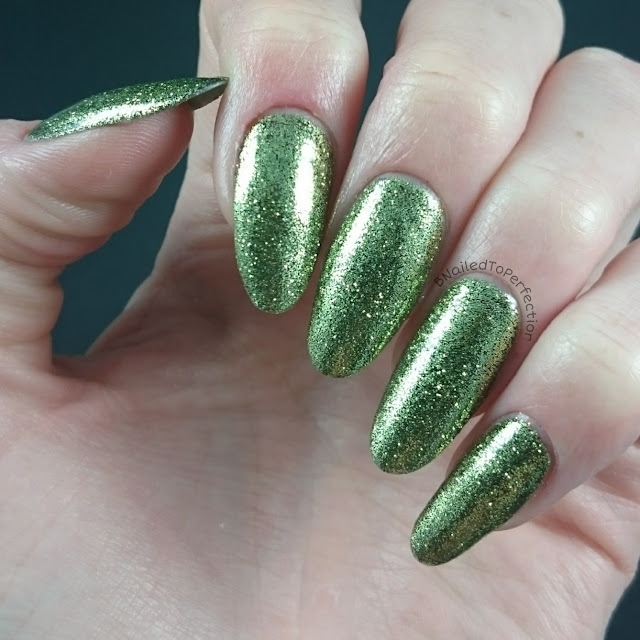 Here we have Enchanted Forest which is a dark lime green. 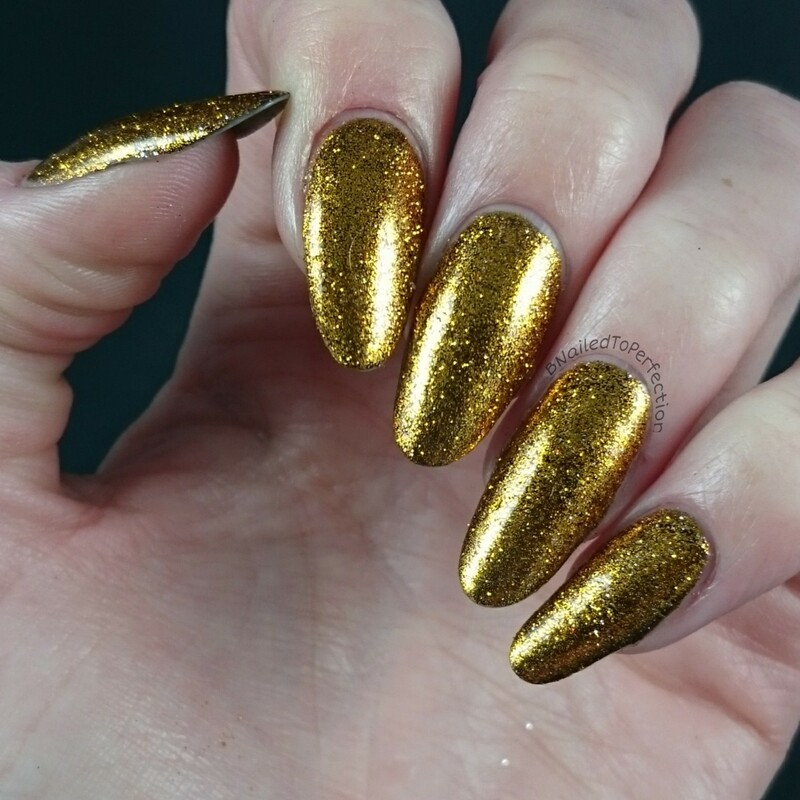 I didn't have a gel polish similar to the glitter dust so I used IBD Black for the base. If you were to use white I think the colour would be a bit brighter. 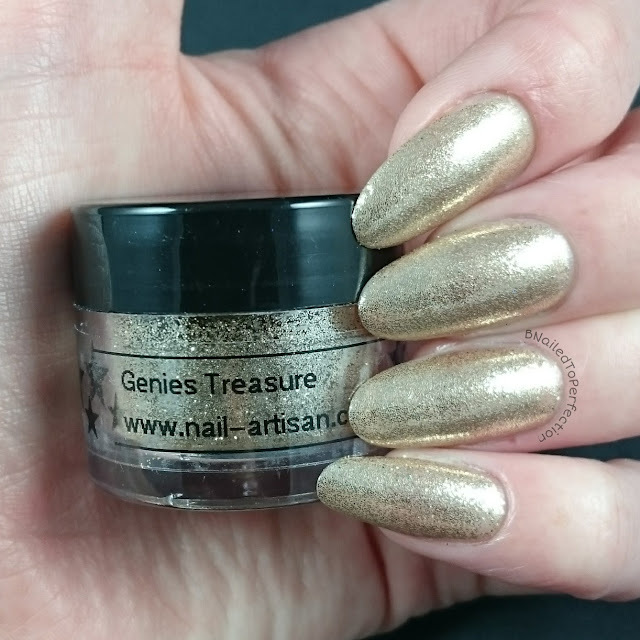 Here we have the lovely Genies Treasure which is a champagne gold. 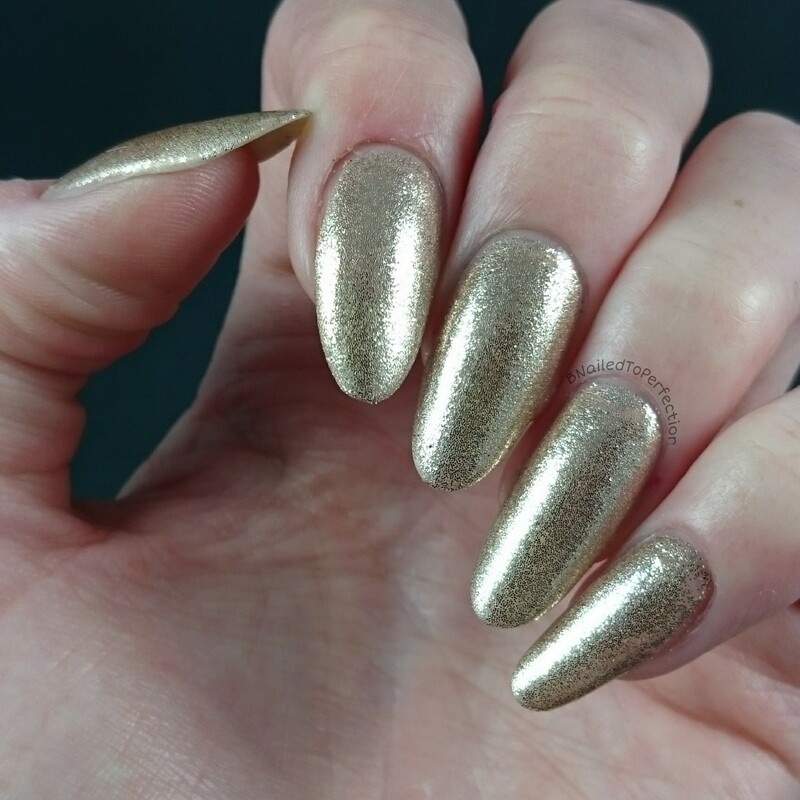 Base colour is Le Chat Perfect Match Heart & Soul. 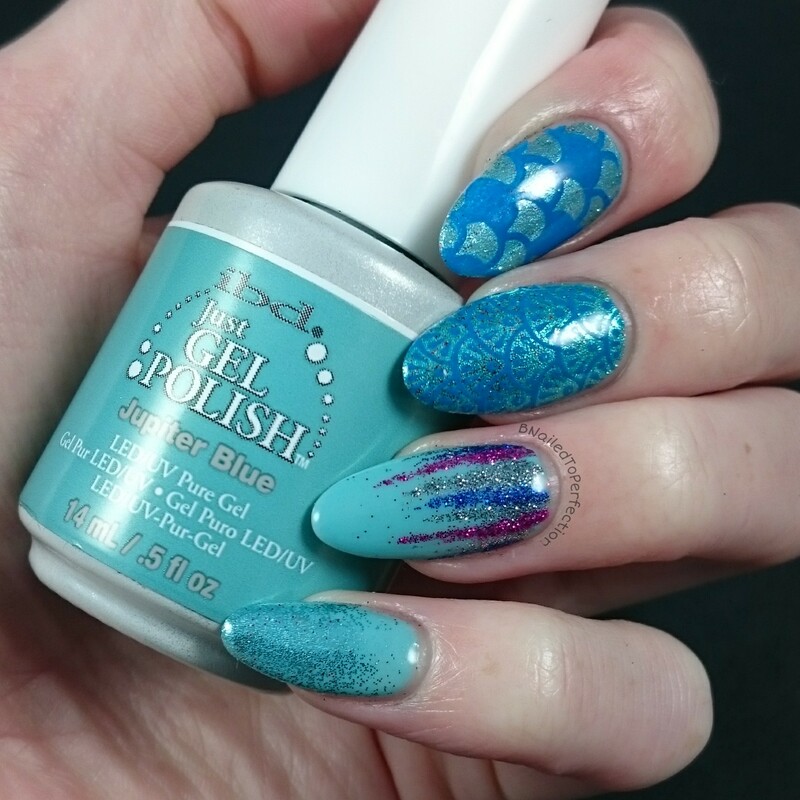 Unfortunately the tacky layer on this polish wasn't too good so there is a small amount of patchiness. 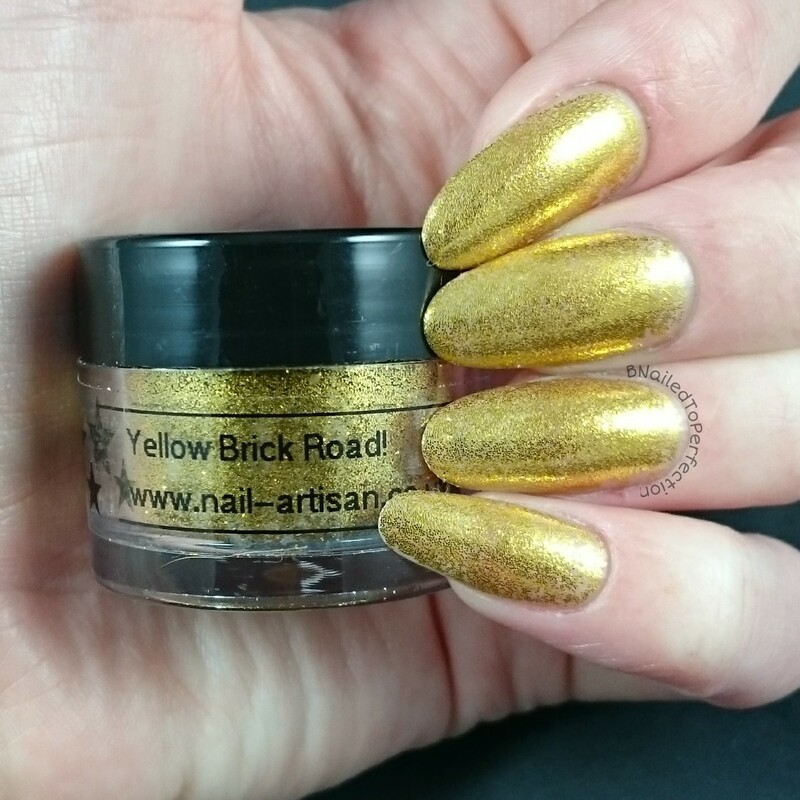 Yellow Brick Road is most certainly a yellow gold and it's gorgeous. Here it is over Le Chat Perfect Match Heart & Soul. 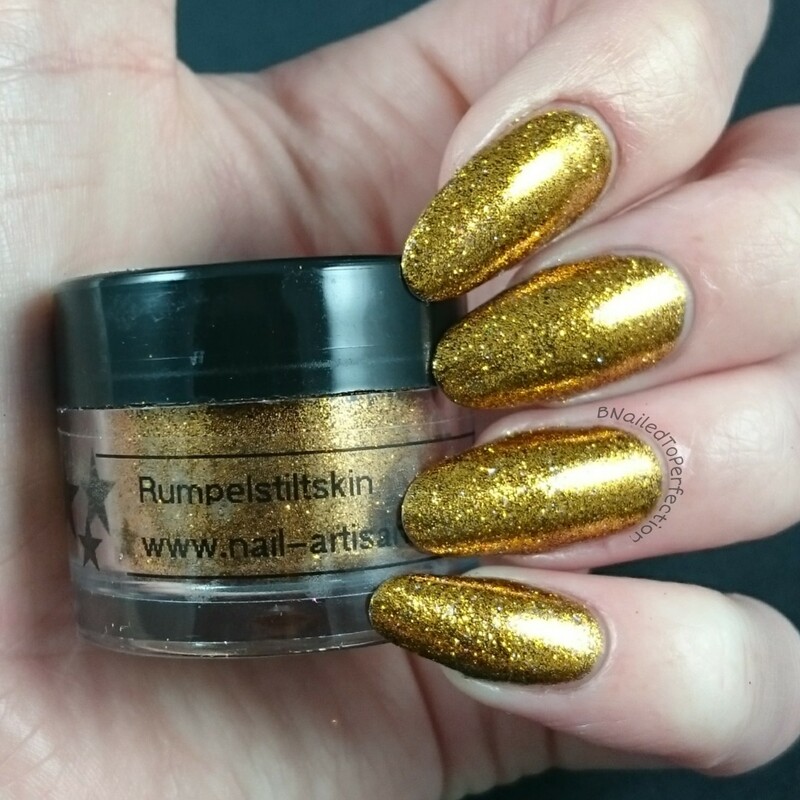 Rumpelstiltskin, aside from being a mouthful lol, is a gorgeous true gold. 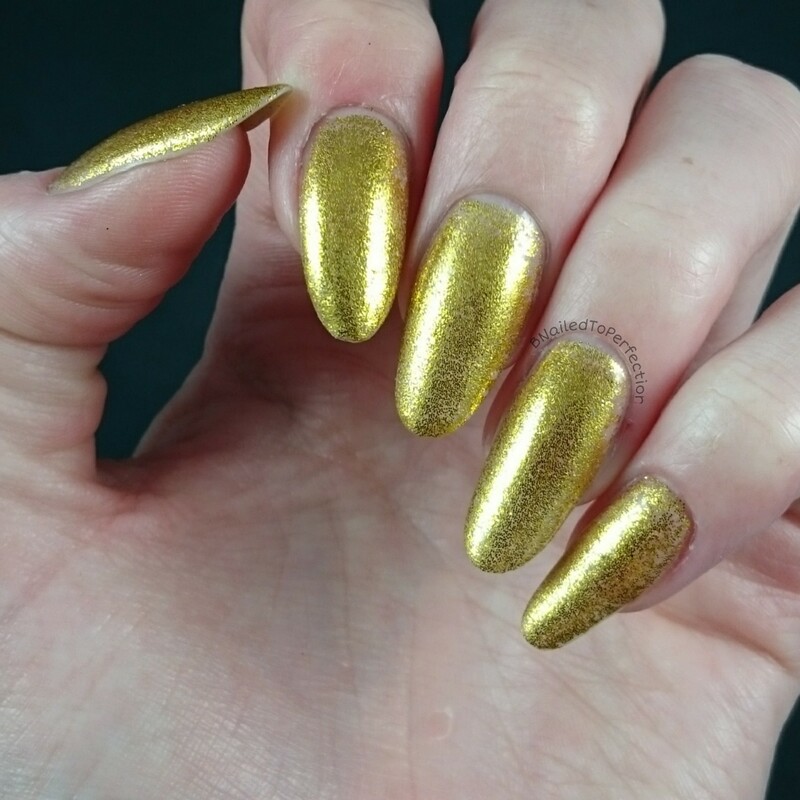 I really love that it's called Rumpelstiltskin as it suits it perfectly. This is one of my favourites from this post! 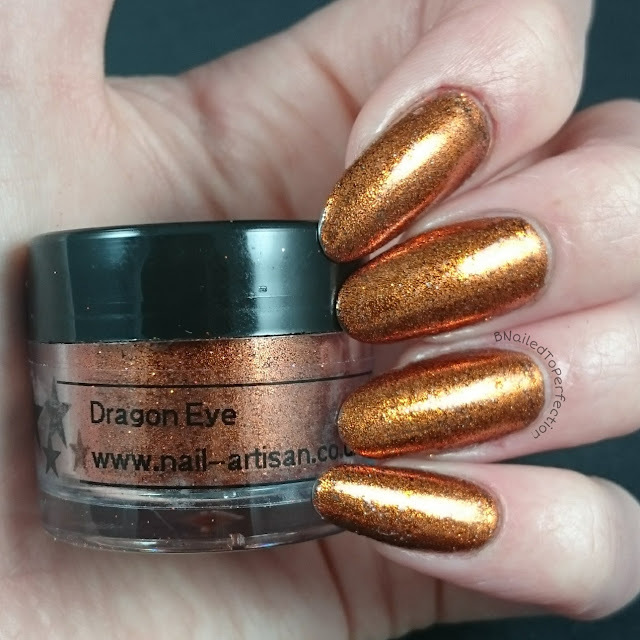 Dragon Eye is a vibrant burnt orange colour and it's another one that really suits it name. IBD Black has been used for the base. 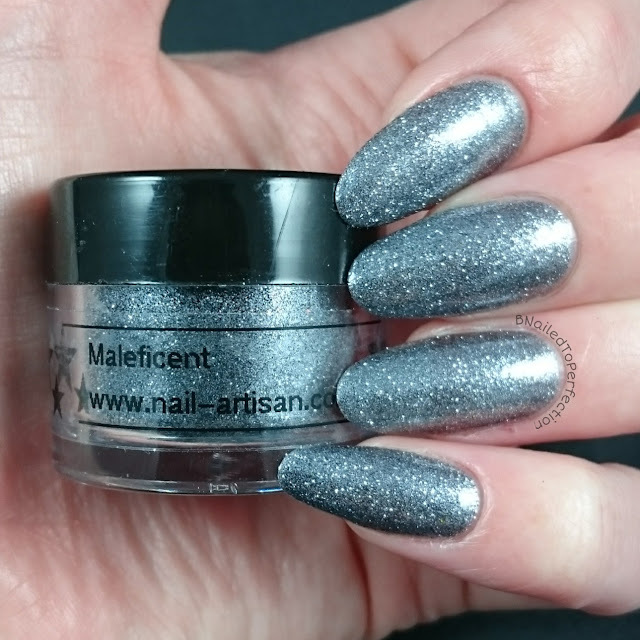 Maleficent is a gorgeous slate grey. It went perfectly over Gelish Midnight Caller. I wanted to pick a few of my favourite colours and just create a random mani with them to show you what else can be achieved with these glitter dusts, other than a full coverage mani. 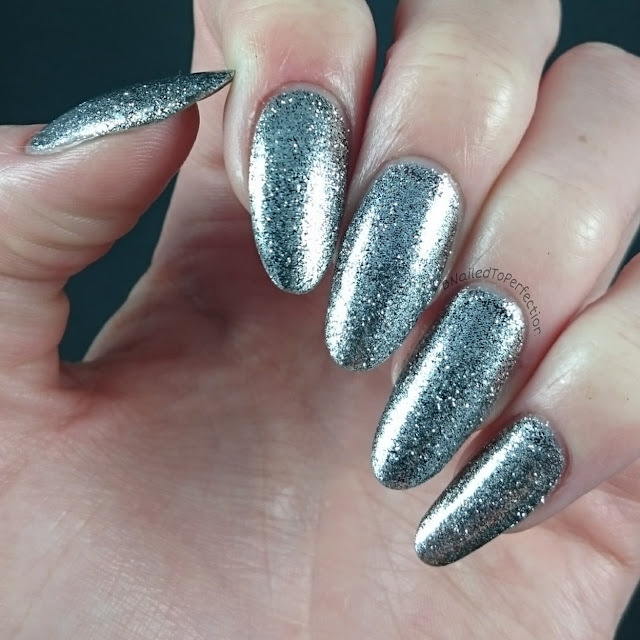 So you can stamp over them, add them to a drop of top coat and make a waterfall mani and also do a glitter fade! When I posted part one of this review, a follower said they would love to see how one of the dusts looks like on it own with no gel polish colour. 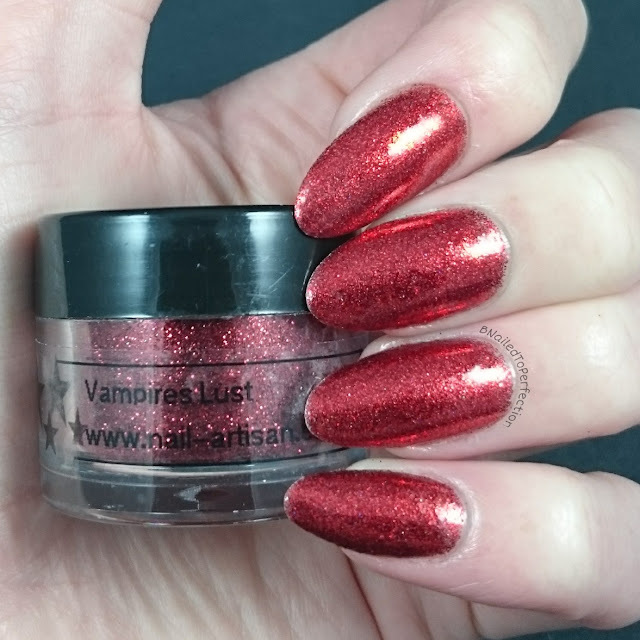 So I chose the lovely Vampires Lust...and look at that coverage! Part two is now complete and that ends my review of these gorgeous glitter dusts. I mentioned the following in part one but I will just recap it. 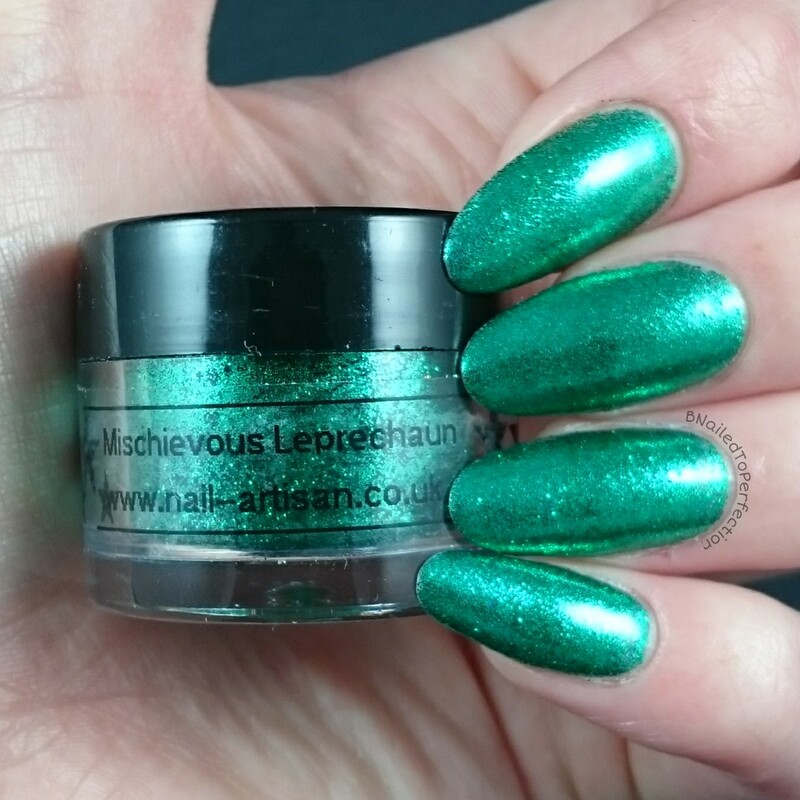 Each pot has 5 grams of glitter and they retail at £3.99 per pot. 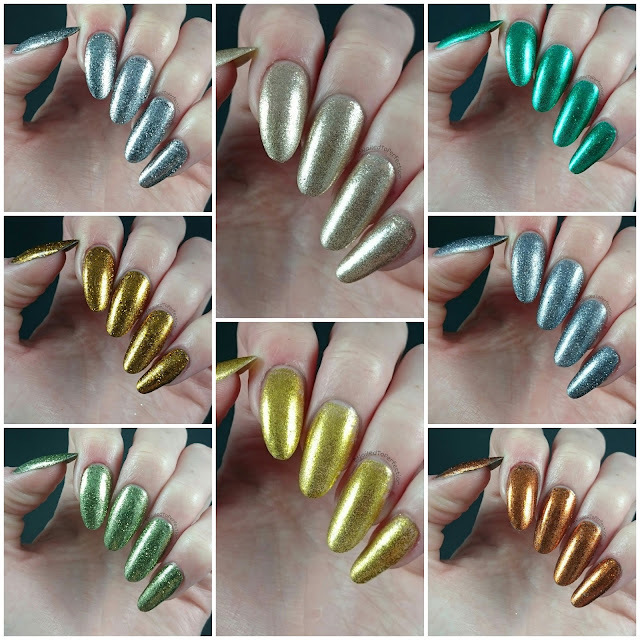 You can buy them individually here or you can save a bit of money if you buy the full collection here. 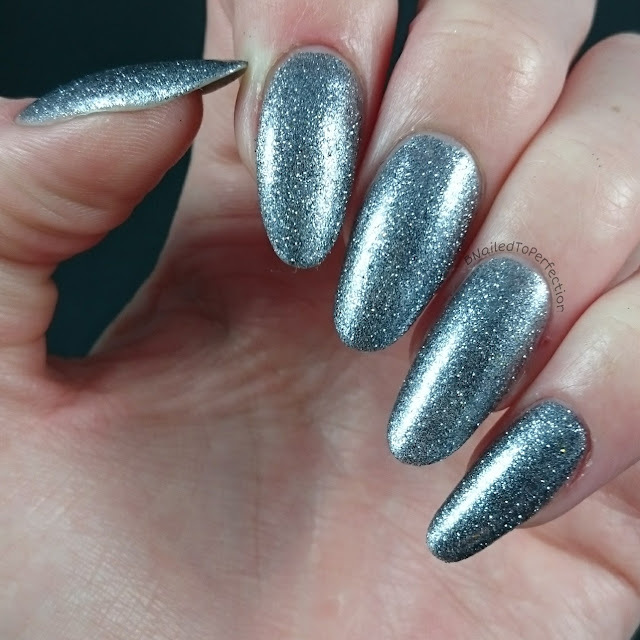 Also they are all cosmetic graded and have MSDS available so they are perfect for use on clients. Do you have any favourites from this post? Is this a product you would use?